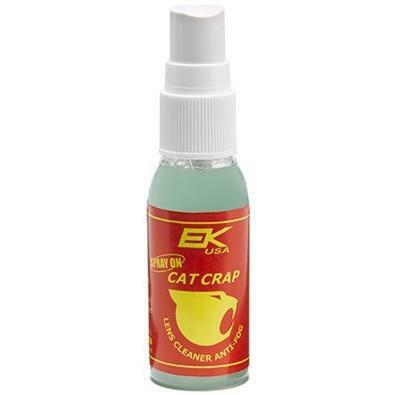 Now in a spray, Cat Crap anti-fog treatment for sunglasses, ski glasses and goggles is easier than ever to use. Don't let the name fool you! It keeps your glasses clean and streak free for a clarity that is unparalleled. I love love love this product. I use these on y sunglasses for running and cycling but use them on my goggles for skiing as well. Would not trust any other product when I am racing!